Sermon Notes for Sunday 24th March 2019. Home / Sermon Notes for Sunday 24th March 2019. Isaiah 55:1-9. 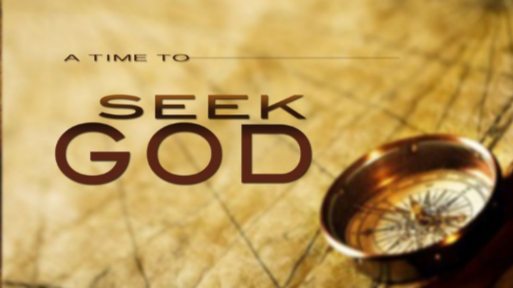 An invitation from God for those who are hungry and thirsty to receive food and drink free of charge, to seek God while God may be found, and to recognise that God’s ways are much higher than the ways of human beings. Psalm 63:1-9. A psalm of longing for God’s nourishing presence, and of thanksgiving for God’s satisfying care and life. 1 Corinthians 10:1-13. The disobedience and rebelliousness of the Israelites in the wilderness is a warning to us to resist the temptations we face. But, God provides, and strengthens us, if we will allow it. Luke 13.31-35. Jesus is warned that Herod wants to kill him, and dismisses this as his face is set toward Jerusalem. Then he laments over the city which fails to heed the prophets. The theme this week is a powerful follow on from last week. The issues of suffering, judgment, repentance, compassion, and justice all come together in ways that are both comforting and disturbing. One of the most challenging and important questions we must face today is how we are to respond to suffering. This week the Lectionary leaves us no option to answer Jesus’ call to compassion and justice. This week the readings move us very powerfully from last week’s theme, into a “next step”. Last week, we were challenged to recognise that faith, on one level, is not a protection from the world’s woes, but rather, it is a call to take up the cross, and embrace God’s life even when we have to suffer to do so. On another level, though, we were invited to celebrate that faith does lead us into a life that is deeper, richer and more meaningful than one of faithlessness. This week, we are taken one step further – we are to reject the idea that suffering is God’s punishment for sin, and blessing (or the avoidance of suffering) God’s reward. On the other hand the Gospel reading this week shows the persecution Jesus faced as he faithfully followed God’s call. A striking feature of this reading is Jesus’ refusal to be daunted by the threats against his life, and his determination to continue his mission in spite of the suffering he will face, like the prophets before him. So, the Lectionary, while it assures us that close, protective relationship with God is available to us, also reminds us that the call to live out God’s mission does not mean a life free of pain and struggle. This week we are shocked out of our complacency, and challenged to be more determined in our commitment to follow Christ, even as we are assured of the gifts of God’s presence and God’s provision to fulfil our calling. May we be drawn deeper into the mystery of God’s infinite grace and all-embracing justice as we journey through Lent in worship. Previous Sermon LinkSermon Notes for the 17th. March 2019.Next Sermon LinkSermon notes for Sunday 31st. March 2019.